From the wickedly creative mind of artist and author E.B. 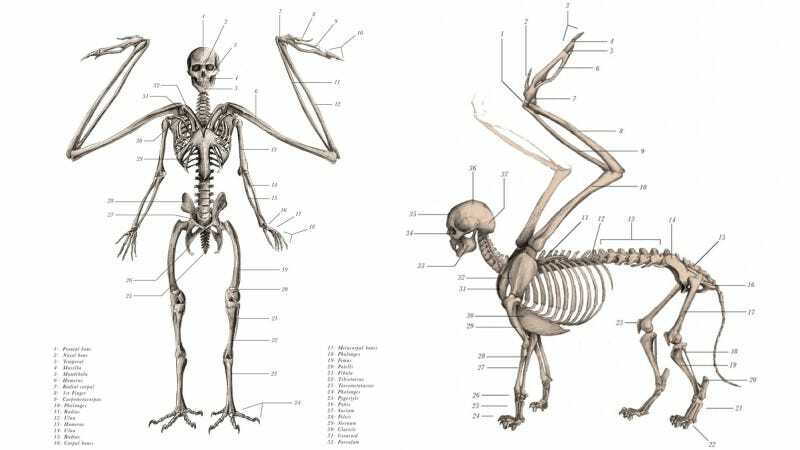 Hudspeth comes a series of illustrations depicting mythological beasts in the meticulously labeled style of anatomy textbooks. The images here are borrowed from Hedspeth's The Resurrectionist, a two-part volume that includes The Codex Extinct Animalia, "a Gray’s Anatomy for mythological beasts, [including] dragons, centaurs, Pegasus, Cerberus" and others. Color us captivated. This collection seems a treat for anatomy enthusiasts and creature-philes alike.